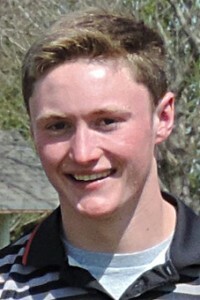 The Wolfpack golf team fell short of qualifying, as a team, for the state golf tournament by just 5 strokes today at the District D-3 Boys Golf tournament held at Summerland Golf Course in Ewing. Fourteen schools competed in the team competition with the Wolfpack finishing fourth. While it was a heart-breaker for the team, they can have consolation in the fact that two team members qualified individually. 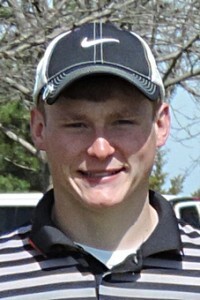 Competing at the state tournament being held at Meadowlark Golf Course in Kearney will be Wolfpack golfers Kyle Heithoff and Chad Bode. The two day tournament, a total of 36 holes, will be played on May 27 & 28. Photos submitted.